This is always a dilemma when your instrument gets to that point. 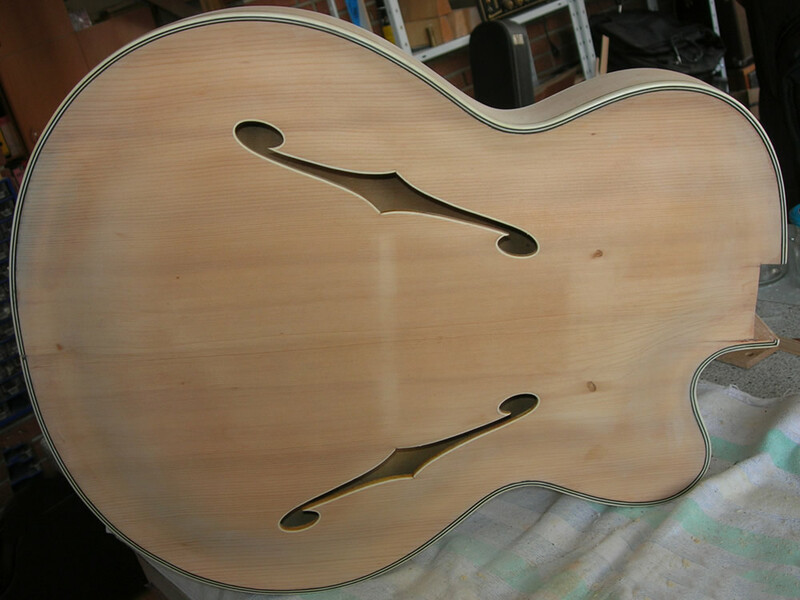 We understand well and firmly believe that some instruments should retain all originality including their finish. We also acknowledge that for some that ready worn look is very inviting and new off the shelf is not for them. But sometimes it’s your pride and joy and you want to do your best by the instrument and restore its pride. 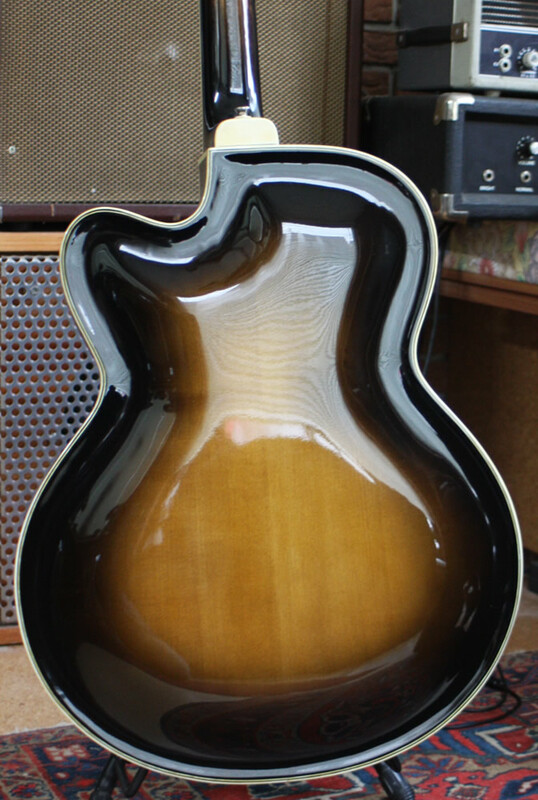 We can carry out a full body refinish on most guitars and will endeavour to match as closely as we can to older finishes (within permitted guidelines). Or if you require a partial blending of worn areas we can also undertake these renovations as well, blending old and new together. You may also want something a little different, why not. We would be happy to talk to you about your requirements and discuss the possibilities with you. 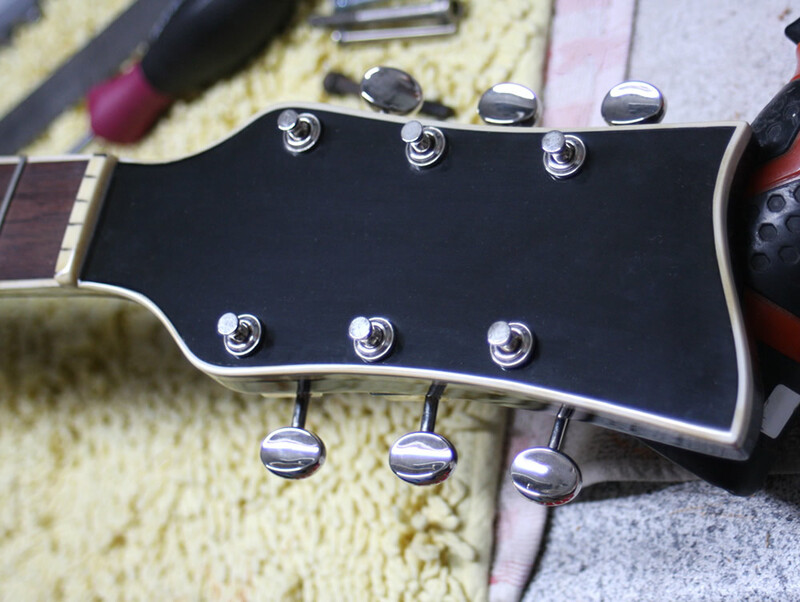 This old time German deep bodied jazz guitar had certainly seen better days and was in a very “loved” state indeed. 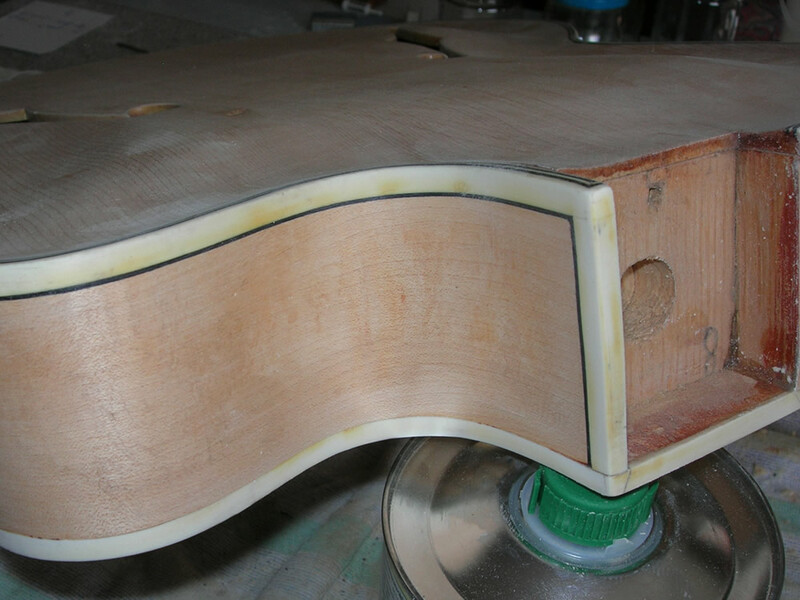 The instruments lacquer and finish were very worn and crazed. 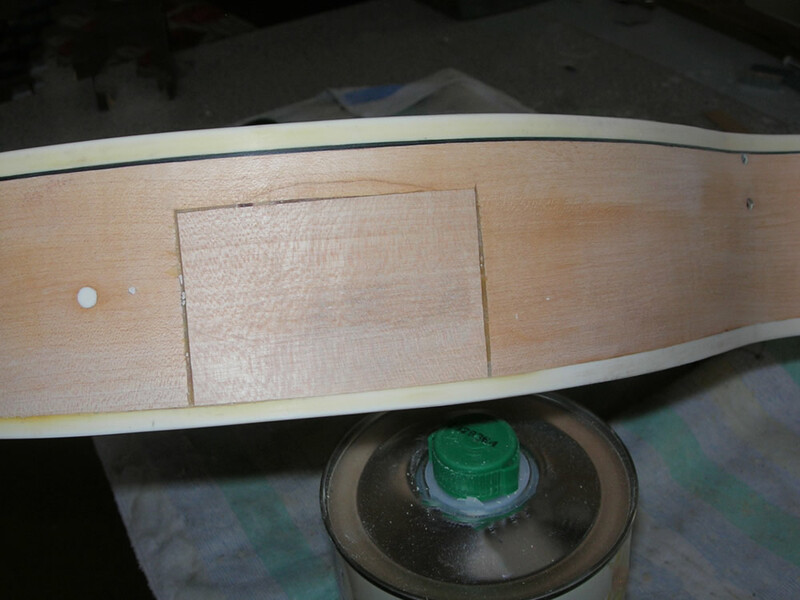 The body itself required repairs to cracks and splits before any finish could be applied. 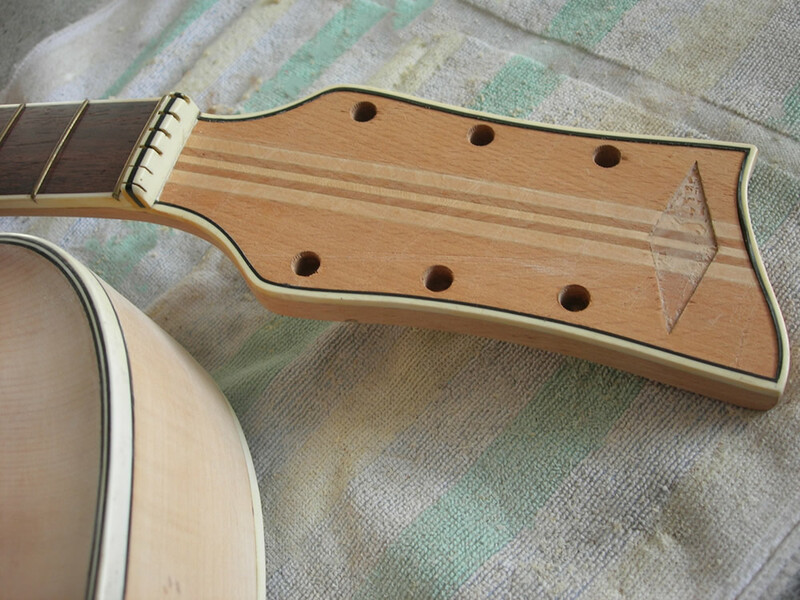 The neck and body were separated for maintenance and stripping back to bare wood. This allowed us to re-establish the stability of the neck. 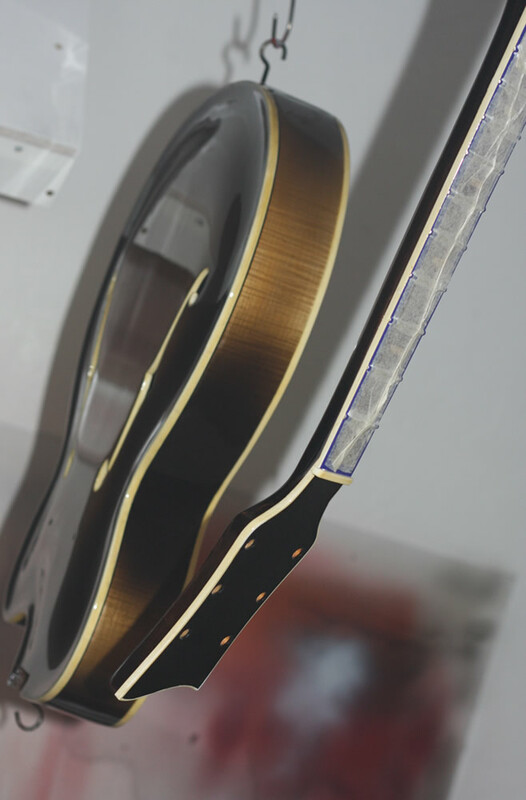 At the same time we took the opportunity to re-fret and clean up the fret board and fit a great little P90 pickup in-keeping with the age and style of the guitar. Once we had completed the remedial and preparation work it was time for the real magic. 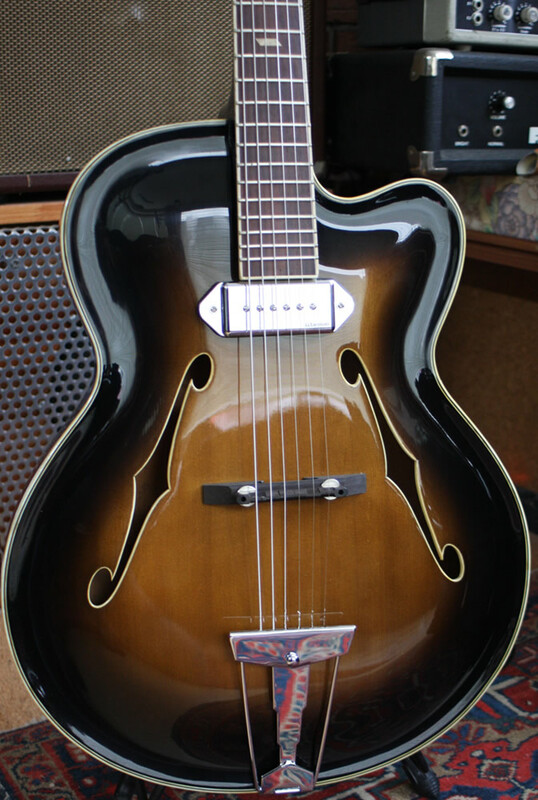 Michael wished for a complex deep three colour tobacco sunburst, in-keeping with the era in which it was built. Achieving showroom condition takes time and care, but the results are worth it and we hope the results speak for themselves. Certainly Michael has a smile on his face every time he plays this guitar.